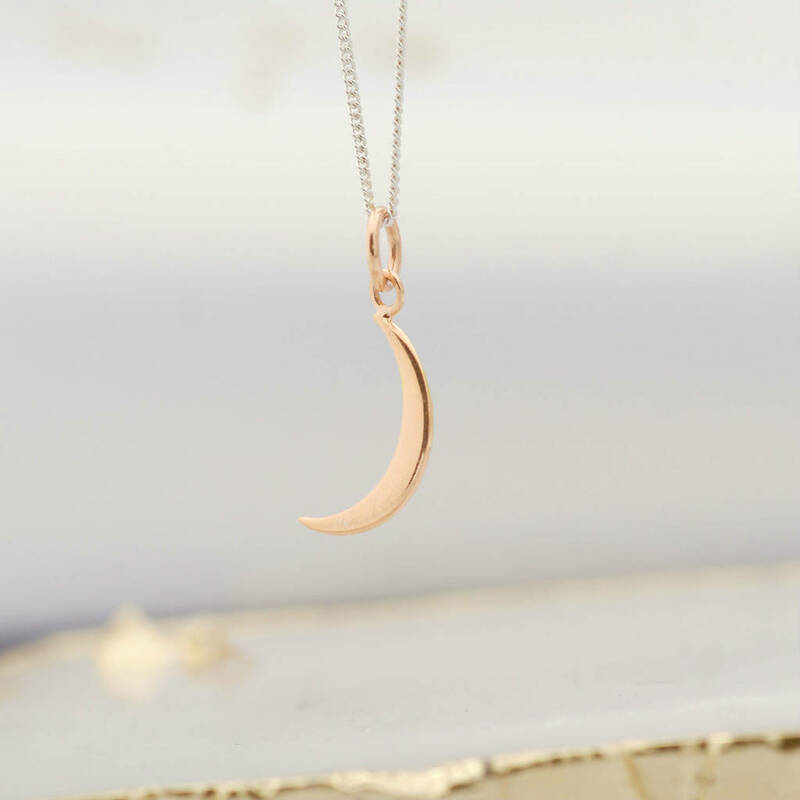 Crescent moon rose gold necklace. This half moon necklace looks fantastic alone or teamed with our star charms. The moon is a symbol of magic and protection. This necklace is also perfect for styling your big day with its nature inspired heart pendant it mades a perfect bride or bridesmaid necklace, to be treasured with special memories. 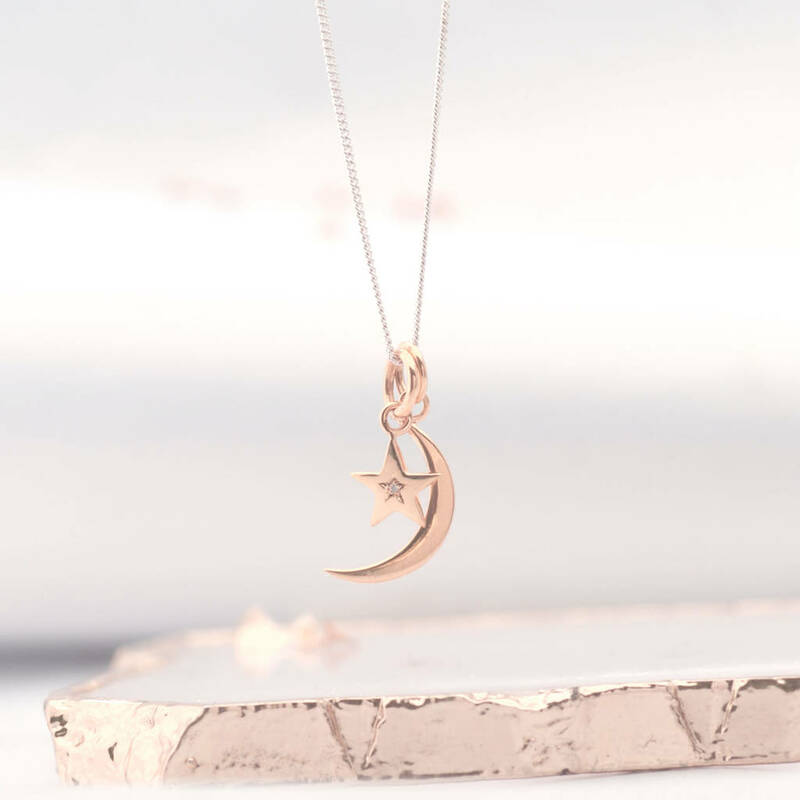 Also see our star and star gazers necklace in this collection. 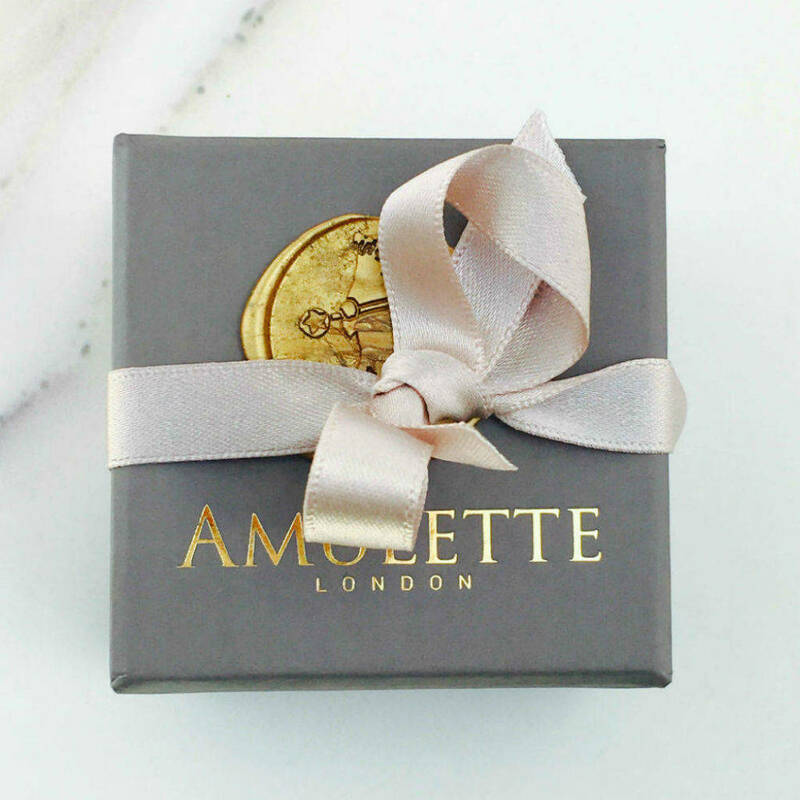 This necklace is made from .925 (92.5%) pure silver, which is the standard required for British silver. 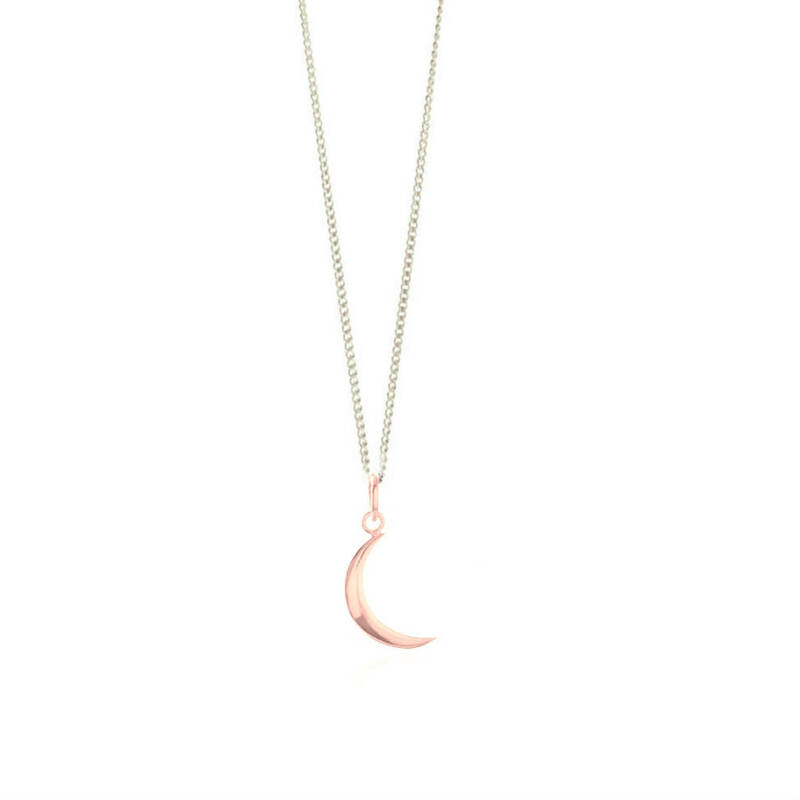 The moon and star are plated with 22ct rose gold vermeil.